I think I saw the pot at the end of the rainbow this week. It was amazing, colourful and all the kids were smiling, it had to be paradise! Not only am I the Cybermum, presenting cybersafety incursions to students and cybersafety seminars and workshops for parents, I am also a member of my schools P&C. Also, the P&C rep on the schools ICT committee to boot. As part of the schools commitment to expanding the ICT resources for students and more seamlessly incorporating this technology into daily school life, the ICT committee at my primary school visited West Leederville Primary school in Perth, WA. Even though we were running through the rain, trying to dodge storm clouds in between visiting the buildings and classrooms, it was a great afternoon filled with enthusiastic kids using iPad minis in their classrooms as part of their normal curriculum tasks. The work done to really bring this technology into the classrooms and the hands of students has been performed extremely well at West Leederville, specifically by two of their key ICT staff being Michael McInerheney and Paul Reid. The school had focused on Apple products, having MacBooks, iPods and iPad minis available for students. Observing the students using this technology in the classroom to perform math and make mini movies of their research into Australian animals was fantastic. What had the greatest impact for me was the ease with which technology was incorporated into the students work. It was not the focus of their work, ie they did not do all their work on the device, rather it was a component of the research project they were working on. In the 30 minutes I was in one classroom I saw children create their own movie, incorporating a picture of their animal that they drew themselves, included some audio for narration and then connected to the screen at the front of the room to display their mini movie/animation. It was a quick and simple exercise that the Year 2 class performed with ease and were excited about. With the math fractions that were being done in another classroom the iPad mini was used as a slate to write out the fraction, draw a shape representative of the fraction, all the while narrating their scribings and recording their writing into a movie that could be displayed on the screen in the classroom. All work for both exercises was done in pairs, allowing collaboration of ideas and problem solving and sharing of the device. Looking further ahead, could a class go completely paperless? How much time would be saved by teachers not having to stand at the photocopier copying class worksheets. Why cant the worksheets be in PDF and students can scribe their answers onto the PDF and save their version and submit electronically for grading? The technology is there, as West Leederville have demonstrated, we just need to take action and make it happen. I am excited about the future of technology for students. 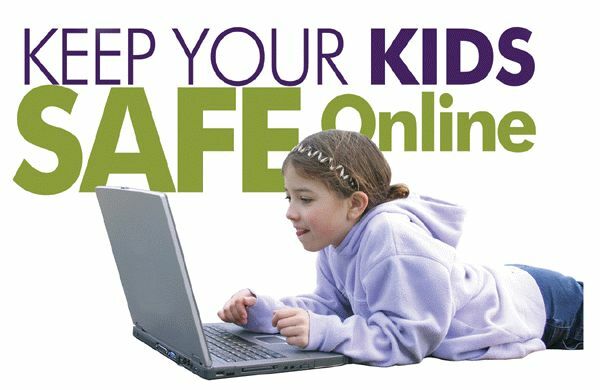 The more students use this technology and get familiar with it the better they are able to understand the importance of online privacy and security and the implications if they overshare or do not manage their security or online digital presence. Thank you to West Leederville Primary School, specifically Michael McInerheney and Paul Reid for hosting us during our visit and allowing us into your school and classrooms. 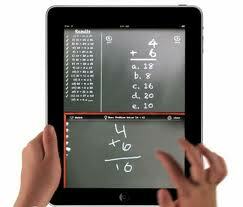 What do you think about the use of technology in the classroom? Do you have any concerns? Is your school currently using tablets and laptops at school? Let me know in the comments below.